We love a bit of inspiration here at Inspired, and when I heard about Darin McCloud, I was seriously impressed. Not only is Darin running the London Marathon in April, he’s no ordinary athlete. A year ago, he was a seriously overweight 21 stone, diabetic and poorly. He was so desperate that he actually vowed to deliberately GAIN the weight he needed to qualify for an NHS gastric bypass. In an amazing success story, Darin managed to lose a staggering six stone, and is training for the Virgin London Marathon after being offered a charity place in the event. 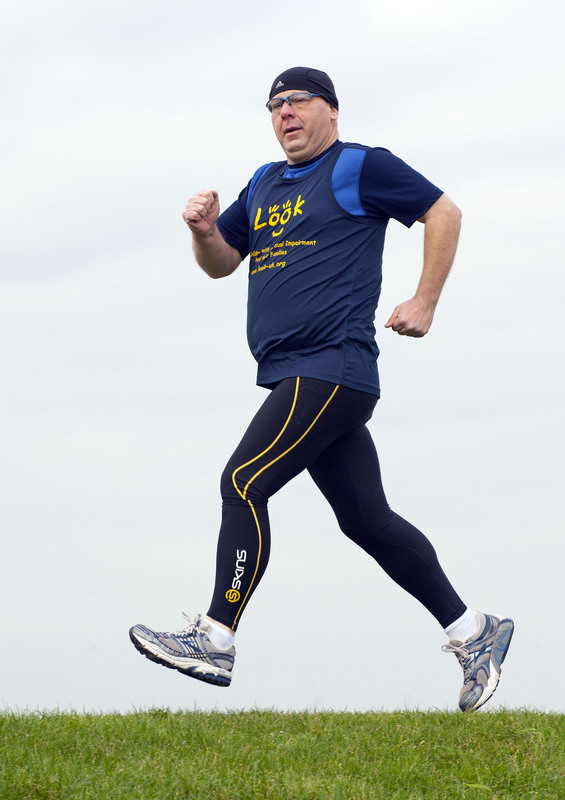 He’s already run the Great South Run – successfully completing the 10-mile run in a time of 2 hours and 9 minutes. He’s run the Brighton Half Marathon and is training for the the British 10k too. What’s more, he hopes he will soon be off his diabetes medication. Darin has certainly gone from fat to fit. You’d think it would be hard enough to commit to that amount of training when you’re simply overweight and unfit, but Darin has also had to contend with working around shift patterns too. He credits his unfailing determination to learning how to retune his brain – no silly diets in sight. Darin’s life has changed so drastically in the past year. His blood sugar level has gone down so much his insulin dose has been reduced to almost zero, his body mass index (BMI) has dropped a category, and his depression has lifted. Some might suspect he managed to wheedle that gastric bypass out of the NHS after all, or maybe went on a drastic liquid-only diet. Since effortlessly ditching pastries and pies for fruit and fitness, he’s discovered a real passion for fitness and a zest for life. Darin’s chosen charity is called LOOK UK – a charity that supports the parents and carers of children who are visually impaired. Want to try a Slimpod yourself? Thinking Slimmer is offering Inspired readers a fantastic 20% off all orders. Just go to www.thinkingslimmer.com between now and 20 April 2012, choose one or more pods and enter the code “INSPIRED20” at the checkout. No mother could be prouder of their son than I am of Darin. My thanks go to Darin and all those who helped and inspired him and to his fiance ‘H’ for her help and understanding, it has made me very happy to see Darin healthy and active. Keep going your looking great. This entry was posted on March 12, 2012 by inspiredessex in Chatty, Fitness, Inspirational People, Offers and Competitions and tagged darim mccloud, Inspired Essex Magazine, slimpod, virgin london marathon.